What is the purpose of having a ‘government entity’, in this case, the Food and Drug Administration, (FDA), when the ‘government entity’, is in fact ‘financed’ by the very people that it’s suppose to be holding accountable? The responsibility of the FDA is to ensure the safety and well being of the people and to make decisions to ensure that foods are safe for consumption and are correctly labeled. They also oversee medicines (Pharmaceutical companies), medical devices (from bandages to artificial hearts), blood products, vaccines, cosmetics, veterinary drugs, tobacco products, animal feed, and electronic products that emit radiation (such as microwave ovens and video monitors), to ensure that these products are safe, effective, and practical. Our current system has produced deadly consequences for all life according to decisions made based upon ‘profit and loss’ of the corporations – instead of what’s best for all. Corporations seek profit and personal gain through ego, power and greed and that’s a fact we’re all familiar with. We’ve all personally made decisions based upon what is best only for ourselves. The consequences of maintaining a world in this manner has manifested poverty, homelessness, starvation, war, corruption and destruction is increasing at an alarming rate. Let’s say, for example, there is a cure for cancer” – who would know? Very few… Become familiar with, ‘Burzynski, the Movie’, which is the story of a medical doctor and Ph.D biochemist named Dr. Stanislaw Burzynski. In the 1970’s, Dr. Burzynski made a remarkable discovery that threatened to change the face of cancer treatment forever. Dr. Burzynski’s, “Antineoplastons” Therapy – a non-toxic gene-targeted cancer medicine, could have helped save millions of lives over the last two decades had his discovery not been criminally suppressed. 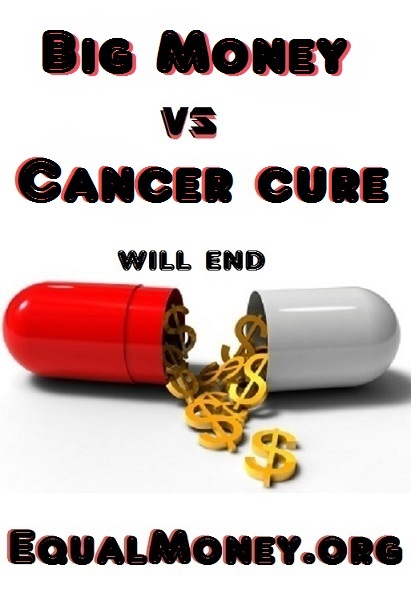 The FDA and Pharma (Pharmaceutical Research and Manufacturers of America) quickly realized that if Dr. Burzynski’s discovery were to be given a fair review process – chemotherapy and radiation therapy would dwindle into obscurity and financially cripple the industry giants. Which meant that all of the ‘money’ would funnel away from big Pharma and into the lap of one single scientist, who of course, holds exclusive patent rights. Big Pharma is the world’s most profitable business, which is currently estimated to be worth $275 Billion. 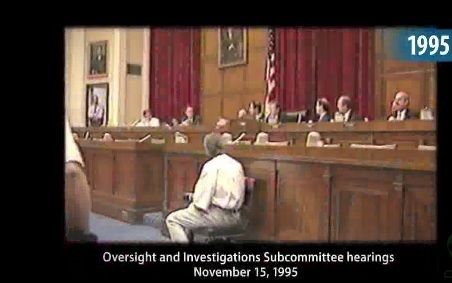 What has been called ‘the fiercest fight in FDA history’, was their fight against Dr. Burzynski. In 1983, the FDA commenced with a civil action to close Burzynski’s clinic and stop all patients from receiving treatment. Before the judge in the case had announced her ruling, the FDA sent her a letter warning her in advance; “If this court declines to grant the injunction sought by the government, thus permitting continuing manufacture and distribution of “Antineoplastons” Therapy by defendant,…the government would then be obliged to pursue other less efficient remedies, such as actions for seizure (his clinic and home were raided), and condemnation of the drugs (propaganda campaign), or criminal prosecution of individuals ( If convicted, Dr. Burzynski would have faced a maximum of 290 years in a federal prison and $18.5 million in fines). Regardless, the judge basically said he can treat anybody in Texas, but he can’t ship his medicine in interstate commerce. The FDA viewed that as a failure and informed Dr. Burzynski’s attorneys that they had other ways to ‘get him’. There’s much more to the story and it is no wonder most have never heard of Dr. Burzynski’s cure. Money/God/Power (all of which are the same), won over the safety and well being of the people and ‘Life’ itself. Where is ‘the responsibility to ensure the safety and well being of the people’ and who of us ‘people’ would object to a proven cure such as Dr. Burzynski’s and, who here would object to it becoming available to every single living being of earth? Those who object are those that have money, those that we allow to profit from and remain in power over us and our world. It’s time to stop. This is after all, a world that we are all a part of. If we continue to support and put money in the pockets of those who already have all of it – we’re giving them the power to abuse and de-value all Life. The story of Burzynski’s cure is only one example of what an Equal Money System will bring an end to. And, the point here to understand is, Never again will ‘one’ entity and/or ‘one’ individual profit over what is best for all. In an Equal Money System, whatever is required to ensure the safety and well being of the people will be given to, ‘All’ the people, as well as to all the animals, plants, our entire environment. That which is required to properly sustain, maintain and manifest life here to it’s ultimate physical potential, is an Equal Money System. Who knows what we’re actually capable of as mankind, in creating who we really are as life according to a Principle of Equality. A world where the Only ‘cure’ necessary begins within manifesting self here, Equal and One as All. Investigate Equal Money – Investigate what’s really being accepted and allowed in this world – and what is not. Join us as we stand together as one group through a one man one vote system ensuring a dignified Life for All. This entry was posted on December 1, 2011, in Uncategorized and tagged brain cancer, breast cancer, Burzynaski, Burzynski The Movie, Cancer, Chemo, chemotherapy, conspiracy theory, cure, destonian wiki, Dr. Burzynski, Equal Money, FDA, fraud, money, Pharma, propaganda, radiation.